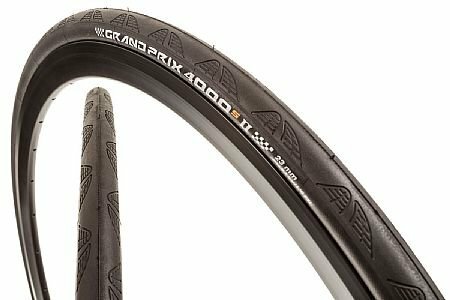 The new GP4000 S II really does deliver on all fronts, combining speed and amazing handling with impressive puncture resistance and extended tread life. 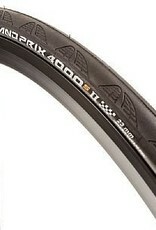 Just like the original GP 4000 S, this is one of the fastest, most durable, and best-riding tires available. In fact, it's even better—Conti claims that thanks to continued R & D, they're able to improve the venerable Black Chili compound by 3-4% every year, so the new model has even better adhesion in wet and dry conditions, better durability, and lower rolling resistance. For those not clued into Black Chili, this is the lingo Conti uses for their top rubber. As the name implies, it can only be made in black—hence this tire's all-black center tread. In a nutshell, Black Chili is an incredibly dense rubber, made up of particles roughly ten times smaller than those typically used in bike tires. Placing this wonder compound directly at the contact patch results in a tire that's not only more durable, but more able to conform to (grip) the road. It's also more resistant to UV rays, helping it to resist cracking and premature tire wear. Add colorful sidewall options to the mix and you've got the best of both worlds, performance and style. The tire also features Conti's patented Vectran puncture protection barrier underneath the tread. Originally developed by NASA in the construction of space shuttles and suits, Vectran is a tough but lightweight material that allows Conti to keep their tires extremely light while providing tremendous puncture protection.